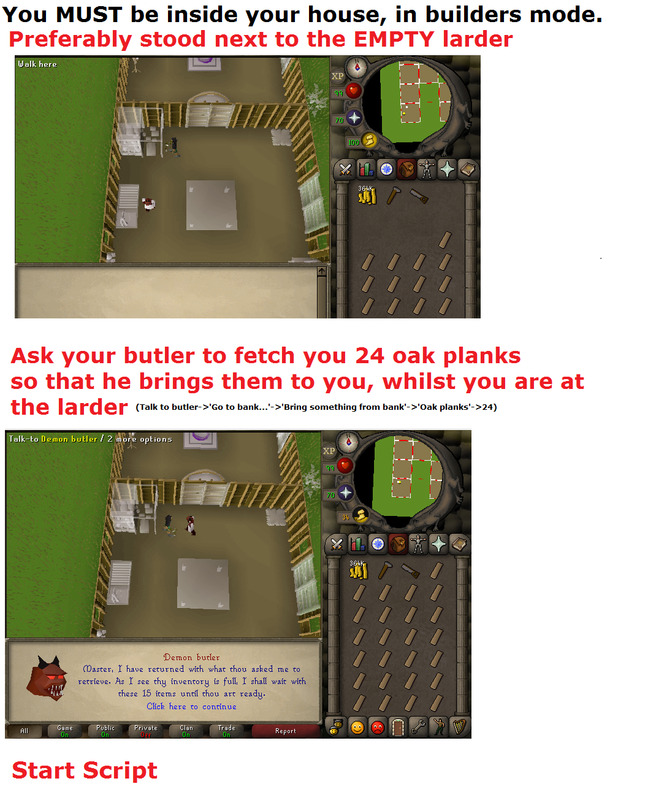 Makes Oak Larders, using the demon butler, for fast construction XP. Video set up guide at the bottom. Oak larders require oak planks in your bank, the script will stop if you run out! You also need coins in your inventory as the butler often needs paying for his services. And finally, a hammer and a saw. If you butler happens to wander off (very very unlikely!) the script will attempt to run to them and correct the situation. 72-75 in 4 hours. flawless so far. great script guys thanks! Been using this script pretty frequently, and have noticed that in the anti pattern, it tends to try and click the butler twice. this can often cause the player to search a larder and take tea leaves, eventually causing the bot to turn off because of inventory space issues. other than that its a great script. Support for other servants possible? Quick progress shot. messes up every once and awhile but overall very functional. thanks alot! 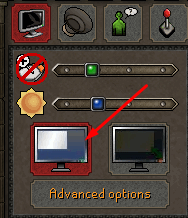 i often encounter the problem where it stands at the oak larder when i start the script and it goes to settings then to inventory then the script stops any ideas? ok thanks.this script is very usefull.nice work.working at best ! how much better are mahog doors?